Remember this cover, you shall never see it again. Check Julie’s Pinterest page to see what the Running Home crew looks like in her head! This cover will be a sad memory. Eliza Morgan is desperate to escape the horrors of her mortal life and understand why death follows her, leaving only one man, Nicholas French, in its wake. He’s the one she loves, the one she resents, the one fated to make her legendary among an ancient order of vampires with a “heroic” duty to kill: the Shinigami. On a ghostlike mountaintop in Japan the all-powerful Master guides Eliza’s transition into a Shinigami death god. Sacrificing her destiny will save Nicholas, who is decaying before her eyes. But she’s not afraid to defy fate, and must forge her own path through a maze of ancient traditions. To uncover the truth and save her loved ones, Eliza will stop at nothing, including war with fate itself. 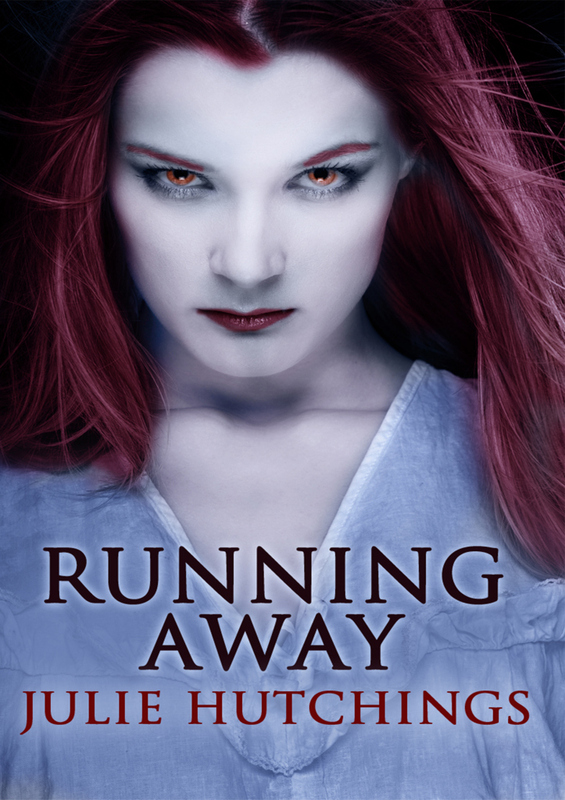 “With Running Away, Hutchings has exceeded herself and delivered a complex, beautiful story in a world all its own. She left me begging for more, unwilling to leave her characters behind.” ~ J. Liz Hill, author of The Mirrors Of Bershan Trilogy. THIS IS THE FIRST VAMPIRE NOVEL I HAVE EVER READ. THE BOOK DOWN; BUT I DIDN`T WANT IT TO END. JULIE HUTCHINGS HAS WRITTEN THIS STORY FROM HER HEART. HER KNOWLEDGE IS AMAZING! EVERY ASPECT IS SO REAL, I JUST WANT MORE OF HER WONDERFUL BOOKS.